Seabrook® is a renowned, CARF-accredited center and a proud member of the National Association of Addiction Treatment Facilities (NAATP). Our network of NJ rehabs provides research-driven, comprehensive treatment for drug and alcohol misuse and co-occurring disorders. Founded in 1974 by Jerry and Peg Diehl, the original “Seabrook House” was developed out of a personal desire to share what the couple had learned while battling Jerry’s addiction years before. Seabrook’s rebranded facility is now run by the Diehl’s son, Ed, and it embodies a compassionate, family-focused approach that delivers on its promise as the “heart of recovery.” Seabrook has expanded to include several locations across New Jersey and offers a continuum of programming from adult intervention to residential, outpatient and extended care services. Seabrook is committed to providing exceptional addiction treatment through the healing of the body, mind and spirit. We encourage all patients to restore their lives by embracing a way of life based upon the 12-Step Principles of Recovery. 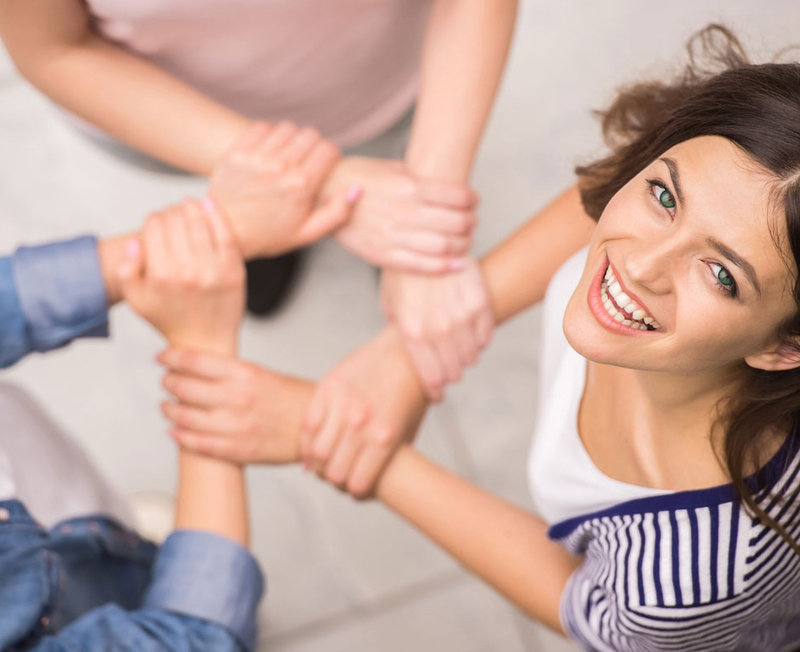 Our NJ rehab’s goal is to help men and women achieve meaningful abstinence. Addiction is a family disease, so whenever possible, we integrate families into the healing process. Participating relatives receive in-depth education about the disease of addiction and are taught healthy ways to support a family member’s sobriety. Depending on an individual’s needs and prior treatment experiences, we tailor services to their unique needs. Alcoholism and chemical dependency are diagnosable, treatable diseases. Seabrook professionals view addiction as a primary disease that, without treatment, is progressive in nature. We strive to interrupt the disease process with multi-disciplined medical and psychiatric strategies that halt dependency on alcohol and mind-altering chemicals. Seabrook’s addiction treatment program teaches clients that recovery is dependent on daily abstinence and is contingent upon the maintenance of physical, mental and spiritual well-being. We believe continued abstinence requires commitment to a daily recovery plan that uses proven 12-Step Recovery Principles and timeless philosophies of Narcotics Anonymous and Alcoholics Anonymous. Without a daily plan of action, addicted individuals may fall prey to triggers that sabotage physical abstinence and elicit a short- or long-term relapse. Surrender and accept that you have a treatable disease. Acknowledge that you are responsible for daily sobriety maintenance. Understand the importance of family integration during the recovery journey. Chemical dependency causes complex, destructive family changes, and treatment helps with psychological social and emotional healing of clients and significant others. Regardless of the program you attend, you will receive a comprehensive patient evaluation that utilizes DSM-IV diagnostic criteria. This bio-psychosocial assessment helps to determine your initial diagnosis and illness severity, and allows us to recommend care placement using guidelines provided by the American Society of Addiction Medicine. Your admissions counselor will review all clinical findings, discuss your diagnosis, and discuss your level of care placement and recommended therapy direction. This document supports and protects your rights as a human being, including fundamental human, civil, constitutional and statutory rights. It also provides information about the individuals who will be responsible for your care. During your stay, we want you and your family to be fully informed of patient rights and proactively involved in all care decisions. This is a description of how we attempt to resolve conflicts and grievances, if and when they occur. We are eager to answer your questions about health insurance reimbursement, financial responsibility and the managed care process. Seabrook financial counselors are available five days a week to discuss financial concerns and self-payment options. An outline for behavior and participation expectations. These guidelines are based on practical needs and help you build self-respect and foster self-discipline. They enable you to play a healthy, interactive role in your treatment and recovery program. Clients are asked to review these standards, ask questions of the admitting staff, and sign a verification signifying that you have read and understand the standards and agree to abide by them during your treatment. A description of the days and times of therapeutic activities you agree to attend and participate in as a vital part of your clinical treatment protocol. A process that documents physical findings and medical conditions that require immediate attention. Our staff will conduct the Clinical Institute of Withdrawal Assessment, which allows nursing staff to measure your withdrawal. To include blood and urinalysis. This may be conducted to further assess your medical condition and ability to participate in treatment. A urine pregnancy test will be conducted on appropriate occasions. An EKG may also be performed if you are over 50 years of age or have a cardiac history. The State of New Jersey also requires that each Seabrook patient be given a Mantoux screening for tuberculosis. This test is not performed if you have previously tested positive, have been tested in the last six months or are currently pregnant. In this case, written documentation must be supplied at time of admission. Directed by a physician and performed within 24 hours of admission unless you were a Seabrook patient less than 30 days prior. This comprehensive bio-psychosocial assessment enables our clinical and medical teams to recommend individualized treatment plans and medical protocols. Specific medical/detox protocols will be reviewed by a member of our medical staff upon entry. No pregnant female clients will be detoxed from opiates due to trauma to the unborn child. These women will be maintained on methadone until the time of delivery and will undergo detox at that time. Patients on a low dose of methadone maintenance may be detoxed at Seabrook upon our Medical Director’s review and approval. Patients assist Seabrook’s nursing and clinical staff in the development of individualized treatment plans, which are based on diagnosis and recommended clinical recovery and therapy direction. Staff will ensure your understanding, input and agreement with this plan of action by obtaining your signature of approval. Addiction is a family disease, and Seabrook’s Family Department is here to care for you. As you are reading this, chances are your loved one was just admitted to our facility. You may feel frightened, angry or confused—and these are normal emotions. To better understand the treatment process, please read the folder provided to you upon admission. The packet contains essential information about your family member’s stay and may answer many of your questions. The packet also contains a Family Questionnaire that should be completed and returned in the self-addressed envelope. If you did not receive a folder, please contact Seabrook’s Family Department at 800-761-7575, ext. 1158. During the blackout phase, client treatment consists of medically indicated detoxification, orientation and Foundation Group meetings—which prepare men and women for the therapeutically intensive component of their stay. 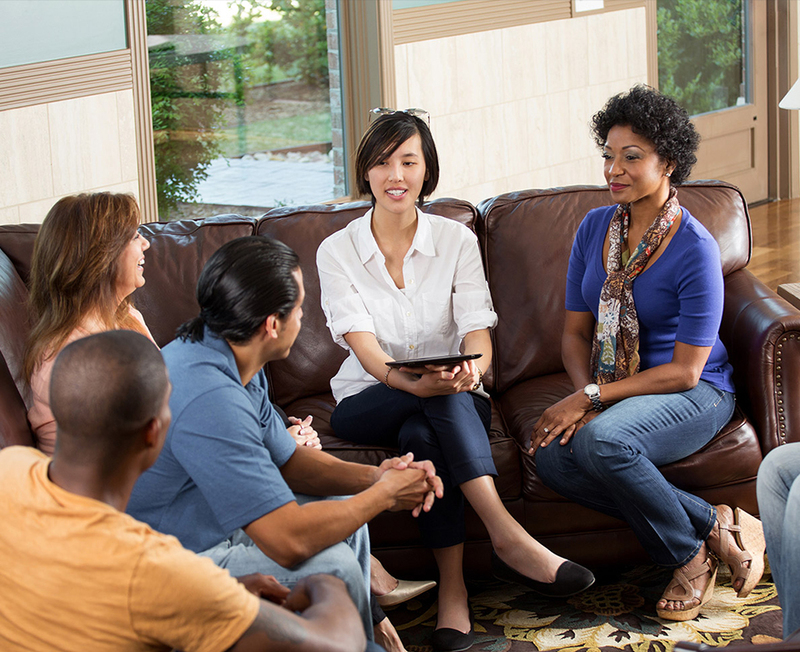 This component commences when a participant is assigned to a clinical team comprised of a Primary Therapist, Case Manager and Family Therapist. The Primary Therapist provides HIPAA-compliant progress reports and discusses aftercare plans with family members on a weekly basis. Admission to our NJ rehab can be difficult for families. We are happy to help, but please limit phone calls to our clinical team to once per week, since frequent calls distract from our time spent with patients. Thank you for entrusting your loved one’s health and well-being to Seabrook’s CARF-accredited team. You will find that Seabrook is a place for family, a place where individuals are loved and affirmed—and a place where addicts receive the tools and directions they need to engage in a healthy, substance-free way of life. We look forward to helping you reclaim your family from the ravages of disease—and helping you claim the promise of recovery! Do not be afraid of these natural responses! Our clinical and medical team members and your Seabrook peers will support you throughout the early stages of recovery and beyond as you learn to navigate these feelings and rely more fully on your newfound sober support system.